Dresses are so comfortable and easy to wear. Think about it, one piece can be your entire outfit! It doesn't get much easier than that! But as the temperatures drop, it is important to have a long sleeve option or two in your closet. I am constantly cold, but with tights and a vest or cardigan over top, a long sleeve dress is a wonderful alternative to jeans everyday. I think I add a pair of boots to my closet every year. And they are in constant rotation. They are warm, stylish and can help elongate your legs. What is not to like? I prefer suede or leather because of the longevity and comfort. Leather and suede can better form to your foot as needed. I even have a pair that is 13 years old in my closet that still looks great! Whether you choose a wide brim, fedora, or beanie, a hat is a cute accessory and wonderful way to help you stay warm! They serve double duty as fashionable and functional item. They certainly won't break your budget either. Many of my hats are under $20 and ones I reach for time and again! I have some fun bags and clutches that are great for date nights or other events, but my everyday bag is typically a neutral colored one that I have invested in. A neutral bag in a classic shape will last you for years and easily take you from fall to winter. I like to have a neutral bag, but then switch up my outerwear. Having a neutral bag ensures that it will always match! 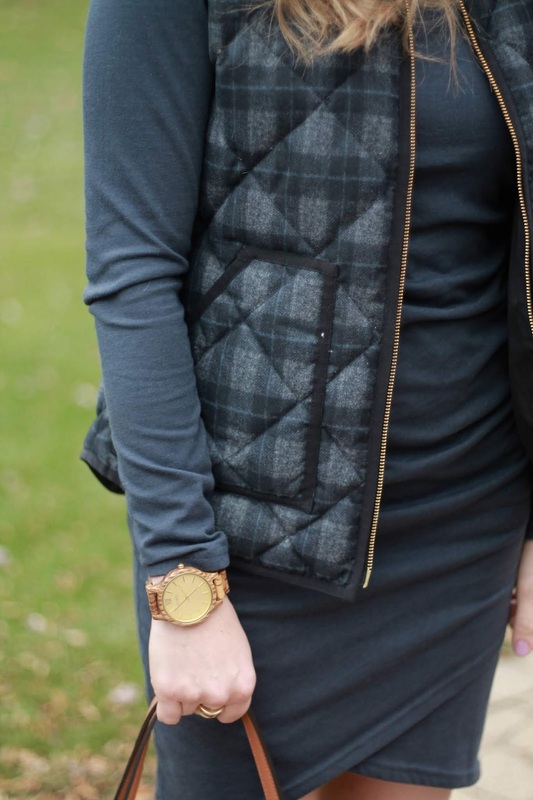 If you haven't tried a vest yet, what are you waiting for? They are wonderful for layering over dresses, long sleeve tees, sweaters, and wearing in place of coats. I have quite a few, some one color and others in print that help keep me warm and add interest to an outfit. I wear a watch every day. I have a few I switch out depending on my outfit. Jord (pronounced Yode) is based in St. Louis, where they are constantly developing new designs. The watches are a sophisticated mix of natural, and largely re-claimed materials, combined with quality movements and components. I have a few wood watches from Jord and love each and every one. As a part of this collaboration, I received the Frankie watch. This particular one is a beautiful, bold style that suits casual, everyday outfits perfectly. Wood watches really catch the eye of others. I always get compliments on mine! 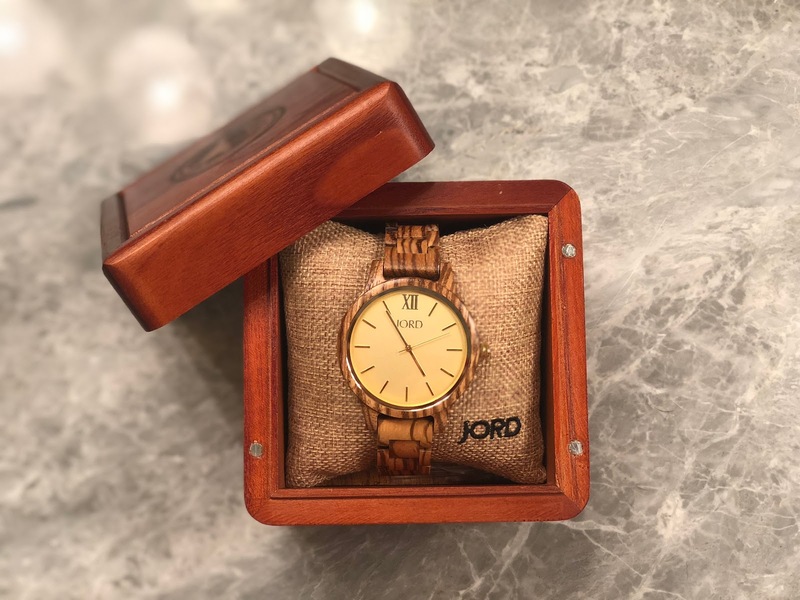 Now that the holiday season is upon us, you may want to think of Jord watches as potential holiday gifts. Most of their watch backplates can be engraved and their Cedar humidor presentation boxes are absolutely beautiful! They are engravable as well. You can even have the watch sized before it is even shipped to you or your gift recipient. Every watch comes with a one year warranty, free worldwide shipping, and options for return or exchange. Enter for a chance to win $100 off any watch here! 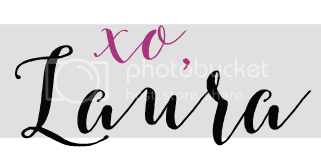 Everyone who enters will receive 10% off! Good luck! 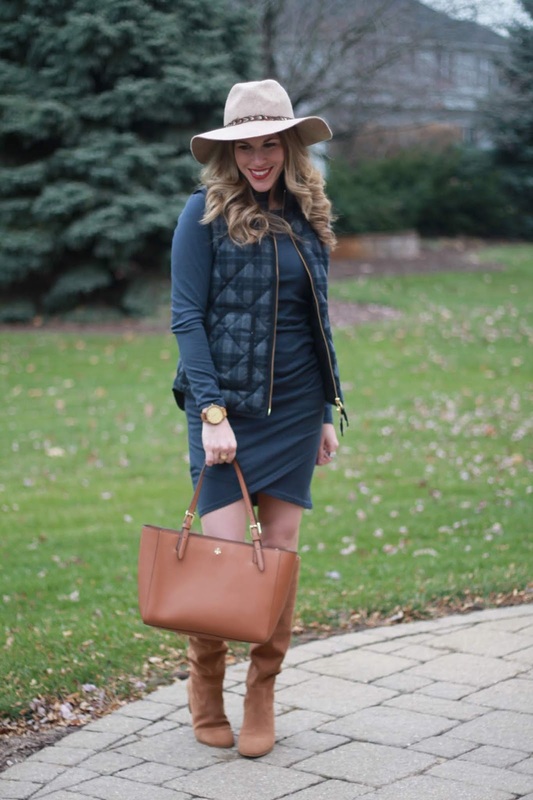 Last week's most popular post was from Adriele at Style Assisted with her beautiful Thanksgiving outfit. Check out her gorgeous dress! What a fabulous boots! Thanks for hosting and have a good week!